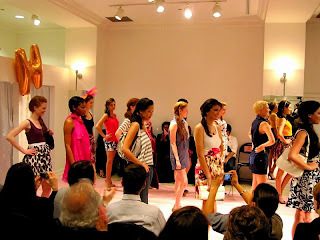 I have to admit, this was my first fashion show so i had no idea what to expect. I was beyond blown away! 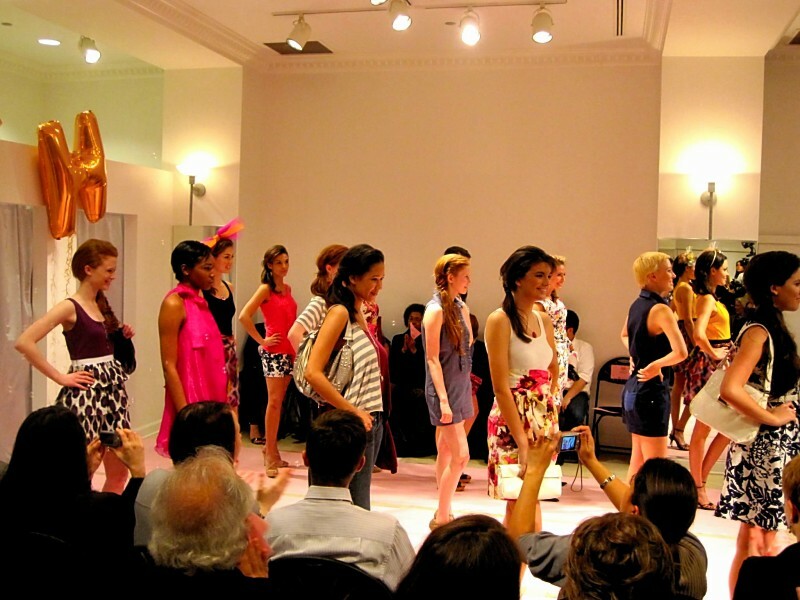 It was a solo fashion show for Kristin Hassan's spring 2010 line and came complete with camera crews, a DJ, complimentary wine and flavored waters, and gift bags! It was held on Michigan Ave. in the mall right next to Bloomingdale's. When it came time to view the collection we all went into the store that was set up for a runway show and this is were the real fun took place. The collection is outstanding! Dresses, tanks, shorts, rompers and skirts all made of fun prints with modern twists on some staple pieces that should be in every ones closets this spring/summer! She is running a promotion now that saves you 20% when you enter SAVE20 at checkout. You can shop the collection here.